I'll be the first to admit that things have been a little slow on the writing front recently. Planning future articles and real life have taken over slightly, but I've got plenty on the way. It wasn't until settling down for this review that I realised that is the first one in the month of April. In spite of the blazing sun outside, I've chosen to immerse myself in the USBM of Utah's Winterlore. Forming in 2005 with the release of their demo "Fire And Ice Upon The Throne Of Might", it would take until 2013 for the band to release their debut full-length "Four Swords Against The Pious". Their self-titled second album came out last April via Slaughterhouse Records (Salt-Lake, Utah) on CD and by Winterlore digitally. Winterlore favours the bombastic sound of black metals forefathers (without the horns/synths used by many) and album opener …In The Frozen Forest is cold and biting. The drums sit within the melee and there’s a mix of melody and murk from the guitars and bass. The shrieked vocals are those of corpse-painted ghouls. It’s certainly an immersive way to begin the album. 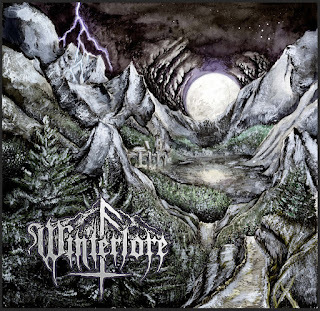 Far from being performed at warp-speed, Winterlore combines pacy sections with mid-tempo passages on Spires Of Ascension. No song here is short of the six-minute mark and the quality of Wintelore’s anti-religious black metal justifies their lengths. Marching Hordes On Warpaths Old features rousing guitar and even some clean chants, sometimes crossing into doom territory along the way. There’s also folk-influence thanks to a sole flute, once again showing Winterlore’s appreciation for the old masters of the genre. Lands Of Boreal Suspension continues along a doomier path in places, though the orchestral riffs keep the momentum going and add an element of accessibility to their music. The extremity ratchets up a good few notches on Ice Of Old Night. That’s actually quite an apt title as well, because it is icy to the core though thanks to the production and mastering it’s not raw like you’d expect. 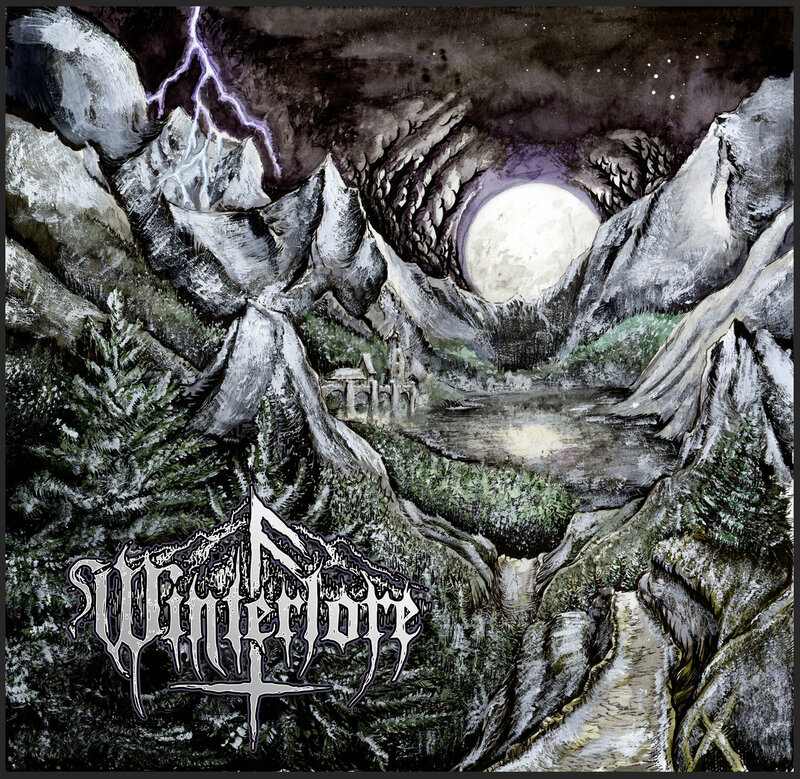 Winterlore’s choice of a more modern recording serves them well here. The atmosphere really takes hold during the closing title-track. It’s one last chance to drink in the majestic bombast of Winterlore (and I don’t mean in a cliched way either). This record is filled with great musicianship that sets it apart from Winterlore’s peers. It’s an escape from mundanity and indeed modernity in some respects. Another great black metal release. It's available to buy digitally and on digipack CD directly from Winterlore's bandcamp page above and from Slaughterhouse Records here - http://slaughterhouserex.storenvy.com/.